“The teacher shortage is real, large, and growing,” according to a national study released Tuesday by the Economic Policy Institute. 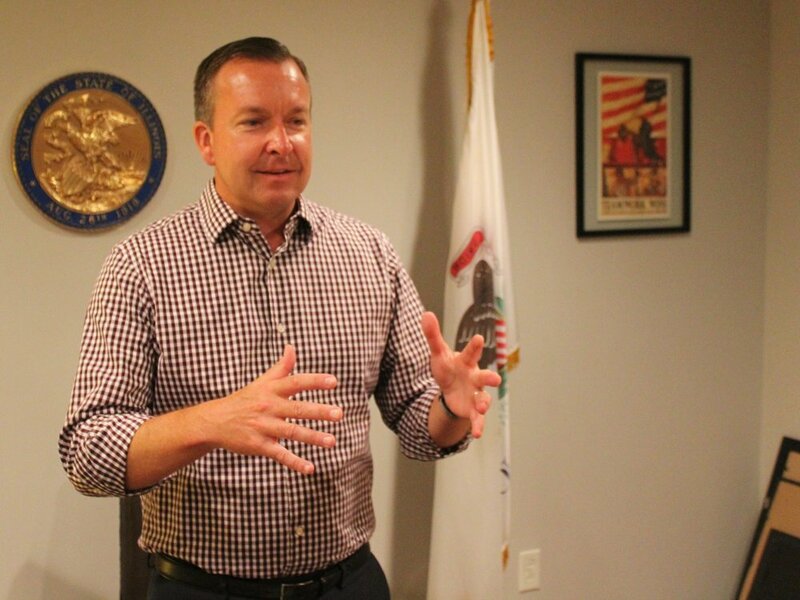 Late last week, state Sen. Andy Manar passed a package of bills on to the House intended to address the issue, after finding that “Illinois’s teaching shortage is more profound in rural and downstate communities,” such as his own hometown of Bunker Hill south of Springfield. Illinois Education Association President Kathi Griffin confirmed that, adding that — while teachers certainly feel it — “obviously the students are impacted the most,” in the form of larger class sizes, fewer classes offered, and a reduction in extracurricular activities. It finds that 13.8 percent of teachers are leaving their schools or abandoning the profession altogether, and that the number of U.S. schools that tried to fill a vacancy but couldn’t tripled in the four years from the 2011-12 school year to 2015-16, rising from 3.1 percent to 9.4 percent. Over the same time span, “schools that found it very difficult to fill a vacancy nearly doubled,” from 19.7 to 36.2 percent. Last week, Manar succeeded in passing Senate Bill 10 on to the House. It would call on the state to hike its minimum teacher salary to $40,000 in incremental steps by the 2023-24 school year. Manar’s office pointed out in a news release that “current state law mandates a minimum salary of only $10,000 for teachers with bachelor’s degrees,” and that law has stood since 1980. Former Gov. Rauner vetoed a similar bill last year. Griffin said the shortage was the longterm effect of prolonged stagnant entry wages for teachers. With pay lower than positions in the private sector, and many teachers forced to work extra jobs to make ends meet, she said many students graduating from high school and entering college decline to go into teaching — even though they find the field inspiring — because the pay is insufficient. Student polling found “the No. 1 reason they did not enroll in education is because of the salary,” she said. So the increase in the minimum wage is intended not just to give adequate compensation for teachers now, but to encourage teens to become the teachers who will be needed in the years ahead. The EPI study called for additional measures to be taken in poor school districts, and SB10 addressed that, calling for a new professional review panel established under Manar’s “evidence-based school funding formula overhaul” to offer “recommendations to lawmakers for how to help underfunded school districts cover costs” associated with the hike in the minimum teacher salary. Earlier in the week, Manar passed a package of reforms through the Senate, including raising the cap on teacher wage increases to 6 percent, after it was dropped to 3 percent in a bill Rauner signed into law last year. It would also create “a refund program for teachers in underfunded, hard-to-staff school districts to recoup the cost of the teacher performance assessment,” and it “removes the requirement that teachers must pass a basic skills test to be licensed,” in order to streamline the hiring process. According to Griffin, if the measures pass the House they’re all but certain to be signed into law by Gov. Pritzker.